The Dragons are here, let the discussion begin. And yes, I said discussion. I'd like people to come on, and tell me what you want to see nominated. Hell, I've already made adjustments to the list below. I haven't changed who I'm voting for yet, since something would need to blow my socks off to change my mind. But I want to make certain that this become a DISCUSSION. Now, again, please remember the eligibility is from the start of July 2018 to the end of June 2019. Now, as was suggested last time, Richard Paolinelli has a new book out, called When the Gods Fell. Also, Christopher Ruocchio would like people to recall that his novel, Empire of Silence has also come out. I had considered putting one of Daniel Humphreys Paxton Locke novels up for this one (again, I got the ARC. Heh heh heh), but he was more interested in emphasizing another topic. Also, to be honest, while I know the book is done, I don't know when it's going to be released, so there's that too. And Brian Niemeier said a while ago, one Dragon Award was enough, so I'm not going to bother getting him a nomination for Combat Seed X. And, honestly, I thought it was going to be Hammer of the Witches, by Kai Wai Cheah. However, I don't think it's eligible. So I'm going to have to flip a coin between Hans and Robert. ..... But as I argued, it's best to nominate Hell Spawn and move on. 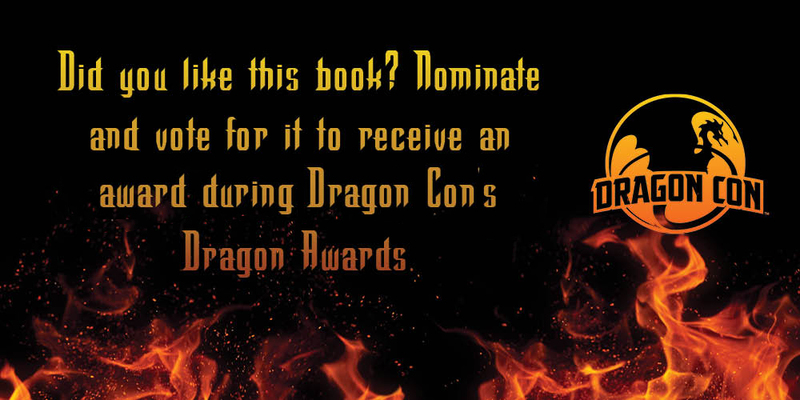 And if you disagree and would like to nominate one of the other books in another category ... okay, but I'd like you not to split the vote too too much. Please refer here for my thoughts on the matter. For right now, let's say Reverie. ....So, yeah, right now, I'm out of alternate suggestions at the moment. Maybe I'm just out of authors. Heck, I would love to nominated Simon R Green for Night Fall... but it is one of his lesser works, and really dropped the ball for the finale of his magnum opus, largely by having it as a crossover with a series I truly and deeply hate. As of now, let the discussions begin. And if you want to vote RIGHT THIS MINUTE, that would be here. Best Science Fiction --Combat Frame XSeed, by Niemeier, or Pop Kult Warlord, by Cole, if Brian declines. Best Fantasy - Sword of Kaigen, by M. L. Wang. Best milSF - I like Retribution better, but Anspach and Cole want the fans to get behind Galaxy's Edge: Order of the Centurion. The final Honor Harrington is a colossal disappointment that undermines Harrington's reputation as a tactical genius. Rob Kroese's Iron Dragon books are great, so you are on solid ground there. I want to note another Indie author, Travis Corcoran, who has a Libertarian themed book that came out in May 2018. It's the 2nd book in the Aristillus series, "Causes of Separation". The first one won the Prometheus award and the second one is nominated for this year's Prometheus. If you're looking for more Fantasy nominees I'll cheerfully toss you a review copy of The Lost War, just out. I'll second the nomination of Corcoran's Causes of Separation for SF.